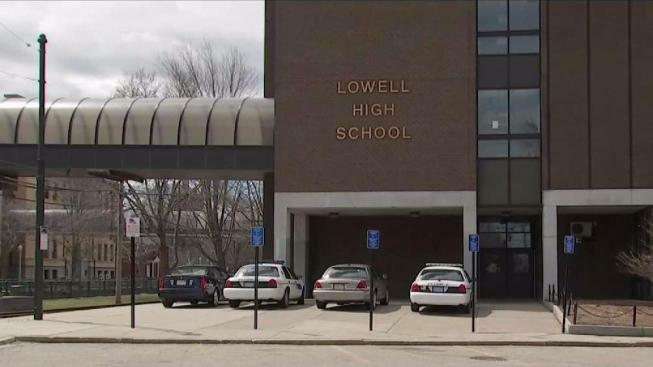 Parents say they are worried about ongoing problems at Lowell High School, where gas leaks have . The repeated days of high school students in Lowell, Massachusetts, missing class for gas leaks and heating issues have parents wondering what others problem exist in the building. "Give them a new school already," said Ann Draper, the mother of a Lowell High School student. The call for a new school comes after two gas leaks happened within a week, resulting in days of missed classes. The high school was built in 1920, with later additions in 1980. The city is now looking at the option to renovate and add to the existing campus on Father Morissette Boulevard, rather than build a new school in the suburbs. The estimated cost for the project in the city is $350 million. "That's what I think has to be addressed, is not what whether it should be remodeled or be a new school, but are we getting a proper education for our kids," said Paul Dunfey of Lowell. A spokesperson for Mayor William Samaras said he did not have time to meet with NBC10 Boston Wednesday. According to the Lowell Sun, Mayor Samaras said parents are "attempting to scuttle the building of any high school." Tammie Heartquist has a freshman in the school and calls the mayor's claim "absolutely ridiculous." "We have a daughter that is in seventh grade and we are strongly considering other options for her, which is very sad because she's also been in Lowell Public Schools since kindergarten," said Heartquist. Parents told NBC10 Boston they would agree to pay more in taxes if it meant building a new school.